Our first Paula Creamer in a Bikini post remains one of the most-popular on GSB, probably because it was the first photo of Paula in a swimsuit on the web. At least, one that wasn't stolen or obtained from some creeper. We now use this post to archive new pics of Paula in swimsuits as she shares them on social media. Newer updates are added to the bottom. Think of this as a treasure trove of Paula Creamer bikini pics! 4-15-13: Like the original, these bikini pics of Paula were posted on her public Instagram page, where Paula chose to share them. 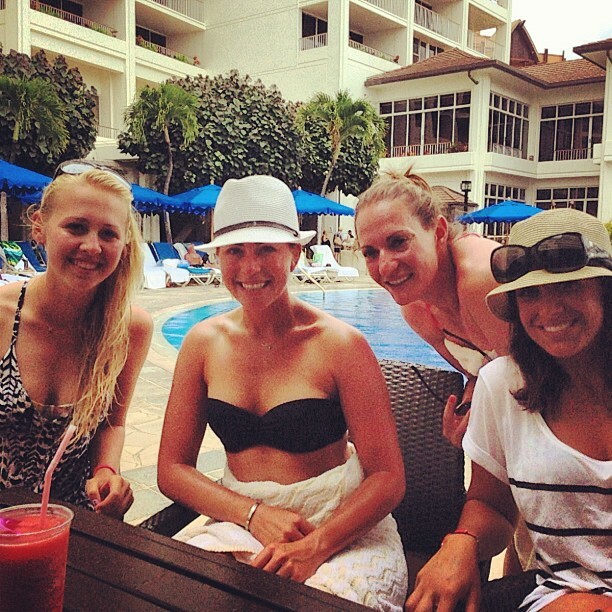 She's with some of her LPGA buddies in Hawaii, where the LPGA LOTTE Championship takes place this week. Let's hope Sports Illustrated swimsuit edition editor MJ Day is paying attention. I would like to play 18 holes with those girls! Cute Girls but it is time for them to win or this tour is dead in America. they look good, but they need to play better golf.